At their June 28th meeting, City Council voted to move forward and put multiple bond propositions on the ballot in November! Read on for the details, and be sure to check out the video re-cap below. Council approved a resolution directing the City Manager to come back with ballot language which they’ll look over in August. During their discussion, Council changed several amounts to the City Manager’s proposals. These were based on his suggested changes to the Bond Election Advisory Task Forces’ work. We are likely to see 7 propositions in November, totaling $925 million dollars. Even more, a proposition for Libraries & Cultural Centers includes $82 million dollars to go toward improvements at the Emma S. Barrientos Mexican-American Cultural Center, Asian-American Resource Center, George Washington Carver Museum and Cultural Center, and Mexic-Arte Museum. Each of these are PARD-owned facilities that run critical cultural programming in areas throughout Austin. 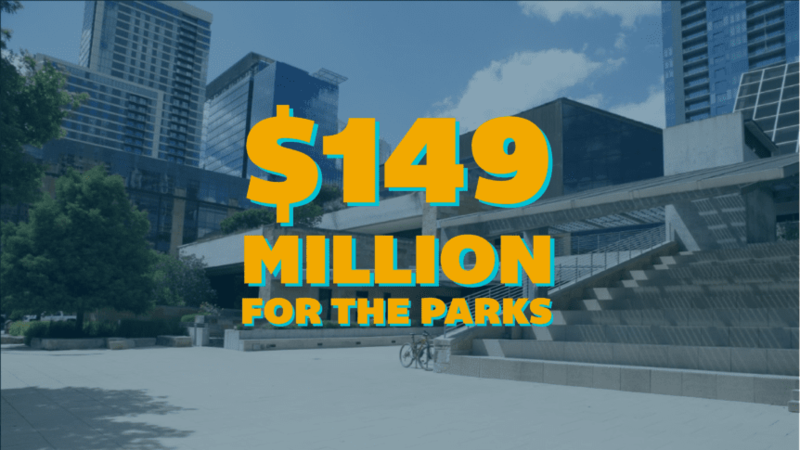 At a time when our parks system has over $700 million in capital improvement needs, this bond would be a great step in the right direction. In fact, this package could be the largest parks investment in many years. We are grateful for all of you who spoke up, contacted your council members, and attended public hearings. We’re especially thankful to City Council for listening and responding!